Please contact us and ask about special deals, reduced prices; we have in-stock, first-run prints, proof copies and slightly damaged, or with minor errors. Contact us directly by telephone or by e-mail. Orders can be placed directly. I will quote price, shipping cost and payment method. Negotiations welcome. Payments can be made by postal money orders, bank draft or an e-payment will be accepted. Or search your favorite book sellers; Amazon, Barns & Noble etc; by inserting title into search boxes. 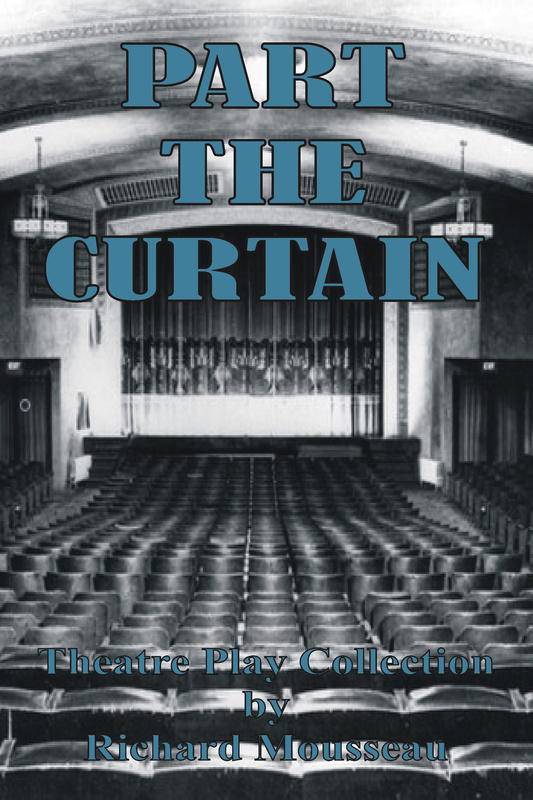 For those theatre groups wishing to order play books for rehearsals, or performance rights; please contact this Publishing House directly, and we will assist you. Library, Distribution Services, Retail Stores, Chain Stores and Independent stores requesting titles; please contact us directly. I had walked out of the bush an old man. How Old, I did not know? The years had passed without the need to celebrate the remembrance of a birth date. There was something familiar about the place I stood, where the bush bordered the tilled land of a farmer's field. Slowly, faint memories recalled past moments of my life. As a young man, I had walked across this field many times. Standing in this familiar spot, I noticed a man rocking lazily on an open porch across the field. The house, familiar in its change, a simple home I remember in a past memory. The old man resembled the face I have when I gaze at my own reflection. I know the man approaching; there is a twinkle in his eye. He looks old with warm grand-fatherly chubby cheeks, his belly reminiscent of Father-Christmas. His balding head and clean-shaven face is so much like a Grandfather of my youth. We pause and stop, our eyes studying each-and-every feature of the other. He is familiar; I search my memory for names to place with the face before me. He seems satisfied that after consideration, he has placed a name to my face. I have not placed a name to suit his likeness. I hesitate, shocked by the sound of someone speaking my name. "Yes, I am Thomas Chapais." Cuthburt was the only weak link in a suitable situation for all. He alone could demand the termination of birth. Unlikely, for this would bring out the possibility of a scandalous exposure. By demanding that everyone keep their mouths shut then no one outside of Cuthburt’s inner circle would know. Would he love the child and embrace as a true bloodline? Edmond Baptist definitely thought not. the impression of Cuthburt’s affections was cold, caring only for protocol and what reflected well upon him. Given the opportunity, Edmond surmised that Cuthburt would overthrow all procedures in favour of making Winston of Scott the next King of England. Claiming the throne himself would allow himself to be able to formulate means to decide who would be his successor. The royal family is redundant, and maybe this story will plant the seed of change. I think this has happen in the past history of all royalty and I think it just could happen today. I would root for the under-dog. Long live the commoner. Cuthburt, Duke of Wales will stop at nothing to sustain his placement and status in the Royal court and will vengefully dispose of Baptist who has assaulted the Duchess of Scott. Across continents of the eighteen-sixties and the cultures of British aristocrats and the uncivilized west of Canada, Cuthburt will demand retribution. Cuthburt alone will demand that only a true bloodline exists and that his son, Duke Winston, and Duchess of Scott produce a child to carry on the royal lineage. Baptist, a trapper, is thrown into a mix of deceit and revenge, yet holds true to his easy-going nature and ability to foil a nemesis who tries to rule all beneath his Royal position. Cuthburt shall fail. All through history, royalty has been as ruthless and deceiving as a scoundrel, ruling to their own code. Nice to see a commoner put them in their place without being crass. History has repeated itself over and over and royalty has made the same mistakes and are no better than a common criminal. Nice to see a decent commoner rise above, Baptist is the good guy. Where is the passion for the playing of the game, the quality of play and the proud-ness of achieving the Stanley Cup? I must admit that every era of hockey, those that govern, those that play and those that observe have their faults, corruption, integrity, pleasures, success and defeats. For me it is the illusion of a child’s imagination of what the game meant that is lost. Currently, attention to hockey has been the status of jokes, puns, and insinuations, making fun of and laughing at the fact that the Leafs will never win the Stanley Cup again. Life of others, that lack success is now associated in comparison to the lack of success of the Leafs, nil!! 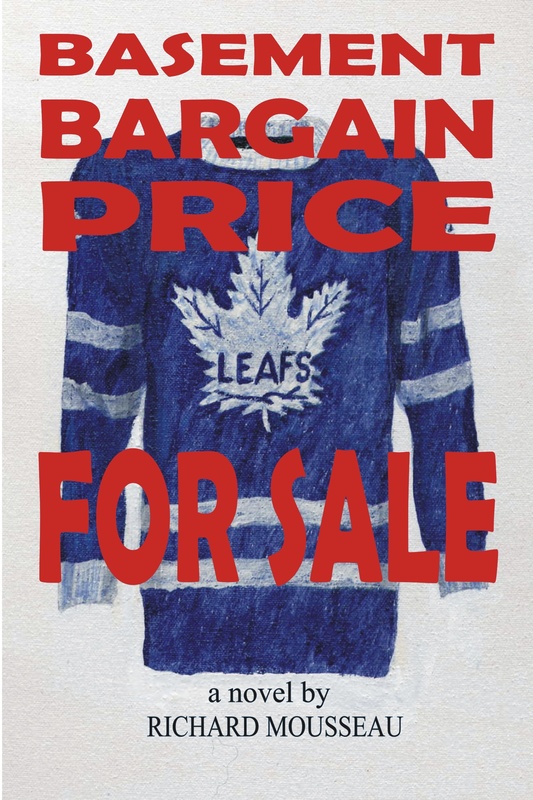 Yet fans of the Leafs are steadfast and true. Imagine the bragging rights of true fans if the Leafs succeeded. Not one to be boisterous and visually or verbally exuberant, I would be one to root for the underdog and be pleased to see the Leafs win. arded with questions that contained more innuendoes, snubs and jokes than actual interest in acquiring in-depth insight, sneered. A mad dog’s growl and foaming jowls will silence the bravest person. Sports reporters stood stiffly, mouths agape and arms holding microphones extended waiting for the Leafs’ owner, Mr. Smithe sputter a marketable quote. You never know until they try. My pony’s bridle lays across a hay bail. A black saddle straddles a fence post rail. From blurry eyes a tear drop may fall. Ghostly apparitions of a memory to recall. rider on pony would wander endless trails. when crossing haunted badlands at a stride. I am delighted by the romanticism of the poetry, making light of the hardships. I want to be a cowboy and live in the romantic era of open trails and endless plains. The cowboy life is humorous when looked at by Mr. Cheeks-Too-Soft. Legendary cowboy, Cheeks-Too-Soft relaxes in semi-retirement on the porch of a weathered old barn-board cabin to reminisce on the life of being a cowboy. 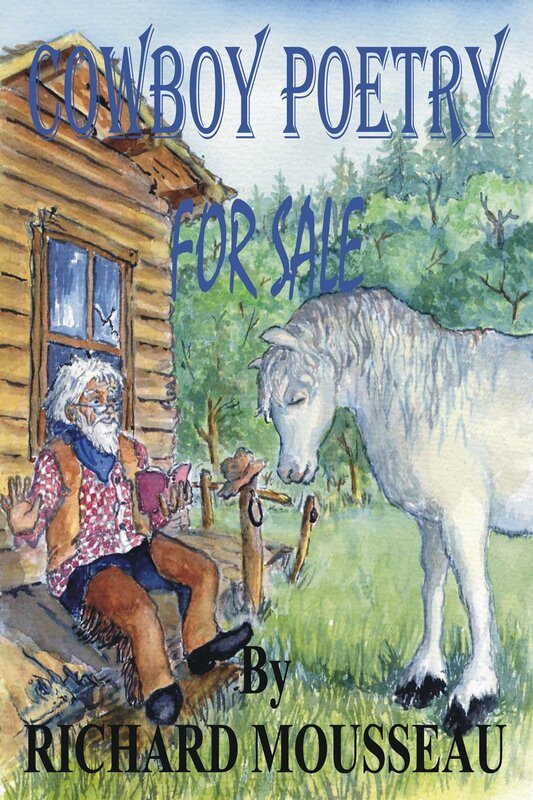 From a book of collections of cowboy poetry, Cheeks will recite tales of adventure, love, lost love, dreams and the wide-open spaces of riding to the next round up, the next meal and bedding down by a warm fire. Drop by, sit awhile, drift into the mystic essence of a cowboy-cowgirl’s world. Everyone can be a cowboy-cowgirl or dream of being a part of the lifestyle of the men and women that created the western ensemble. 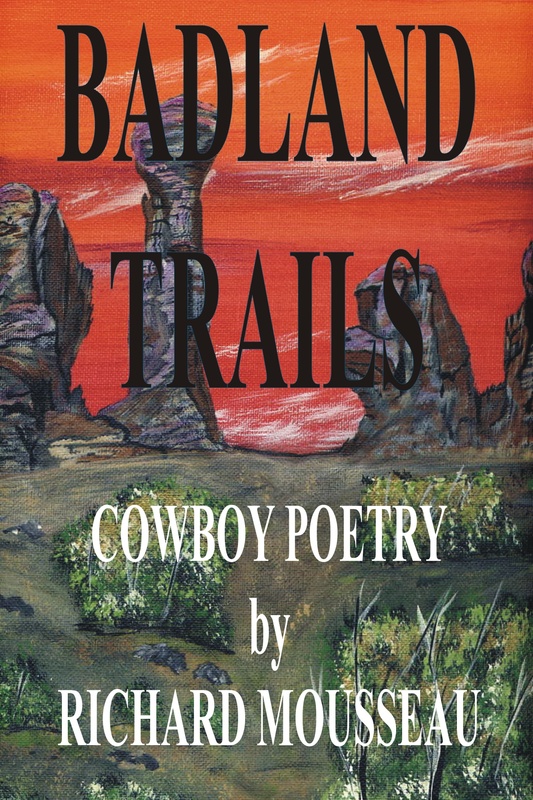 I was chocking on the dust and humour of the poems that give a realistic and a romantic twist to the cowboy life. I laughed myself silly, then a poem came along that twisted emotions into my heart that tears blur my eyes no matter how often I reread. A collection of cowboy poetry for everyone from intellectuals to children and men that never read; to a house wife like me that needs a short poem to boost happiness, thank you. 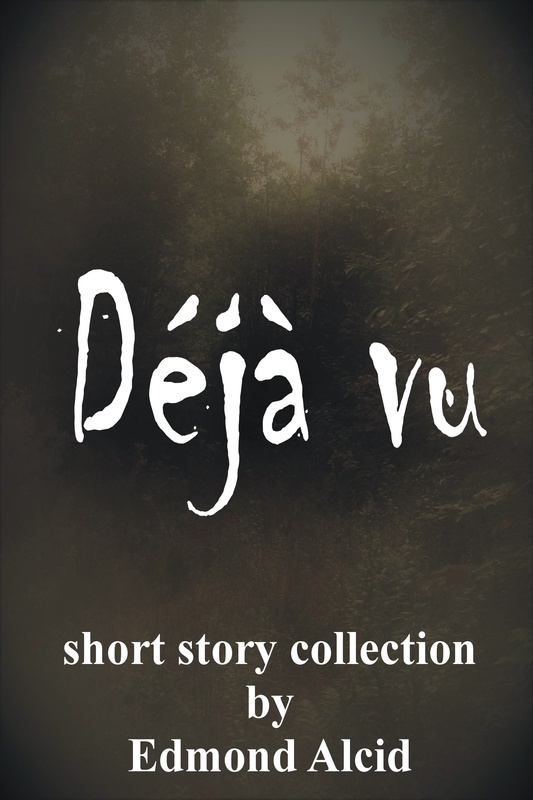 A collection of short stories with the root of DéJ`a vu in each story. Have you repeated your past over and over? I remember, remembering that I have repeated my past over and over. For what reasons are there, to explain why one’s life is-in-need of a repeat. Do we repeat life for-the-purpose of getting it right, to correct a past mistake, to change the outcome of a situation to suit our egos? For whatever reasons, we do relive moments of our lives. Some of us have fleeting memories of those moments. I remember, remembering to rewrite these lines, or did I? Or is it only my mind playing games? For moments like this we use the word DéJ`a vu. I have had the sensation of DéJ`a vu before. This book of short stories covers all the bases of that strange feeling of repeating something over and over. Fascinating, strange and sometimes probable. I eagerly look forward to having such a sensation. I got that shiver up the spin, that cool-tickle when I read one story that reminded me of a situation that I had that repeated its self, I think. Fiction, adventure / all ages. War affects countries, and the lives of residents on all sides, which never results in a happy ending for those that parish in battle or die innocently by association. History is filled with stories of the average, the heroic, and with historical facts believed to be true, depending on which side of the battle is favoured by individuals. Not only were human participants there by choice or by conscription, there were animals conscripted to assist their human benefactors. Farm animals gave of themselves as substance to nourish the armed forces. Horses were well imbedded as labour and their stories have been well documented. If given a choice would they believe in a cause and volunteer? What about the common pigeon, the birds of flight that delivered messages across the battle fields. For every successful messenger there were countless ones that fell under the barrage of enemy fire. Who protected the messenger pigeons? 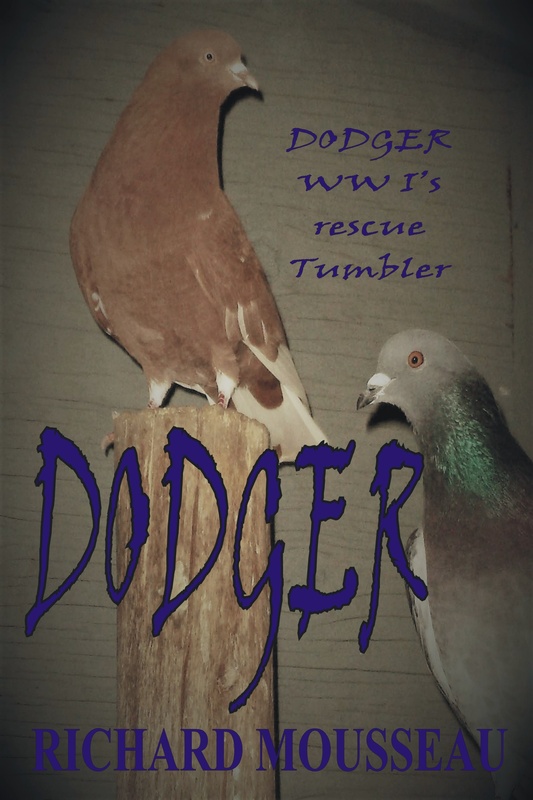 Meet Dodger, a breed of pigeon adept at tumbling, rolling, and the majestic art of aerial displays for entertainment. Tumblers were not messengers or racers, yet they held their part in the protection of messengers, acting as rescuers, and diversions to protect the messengers from harm. Meet, Johnathon ‘Dodger’ Wentworth-Tumbler, a First World War Rescue Pigeon. An interesting story when looking at life from the perspective of a pigeon. If only a pigeon could talk, what a twist on history would be revealed. An adventure as interesting as any human story. 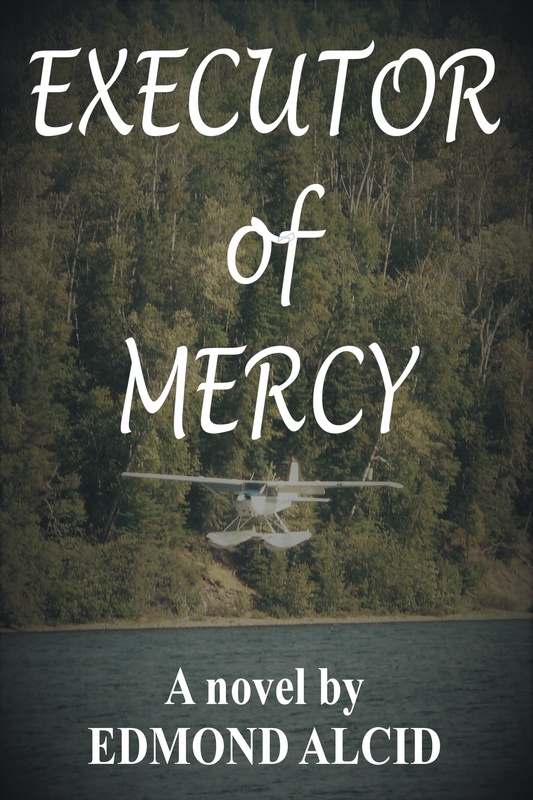 In the rugged bush of Northern Ontario, a small bush plane crashes. On board is a ten-year-old boy and the pilot. In the early 1960's the only one capable of finding the crash site is Hag and his blood hound Wojo. Hag enjoyed the good life of living in the wilderness until events leading up to the crash and the search was hampered by his companion. Wojo has shown signs of rabies. It is too late when Hag discovers that the infected scratch on his arm was from his dog. There in the middle of nowhere a sick man and the boy he finds develop a bond that is stronger then life it self. Survival is the utmost of importance when there is a lifetime of growing up ahead. An adventure bigger than the wilderness of Northern Ontario. A powerful story. I was shocked by the ending. As heartfelt as the movie Old Yeller. I cried for the boy, I cried for the dog and I cried for Hag. A great story Idea, it could have really happened especially here in Northern Ontario. This is truly a Canadian story. A person’s life is a daily accumulation of events, emotions, dreams, true stories and fictional stories. At a point in time when an advanced age is achieved, memories become mingled and sometimes facts become blurred, that of truth and fiction, and sometimes, as is the case of a writer, made-up stories. 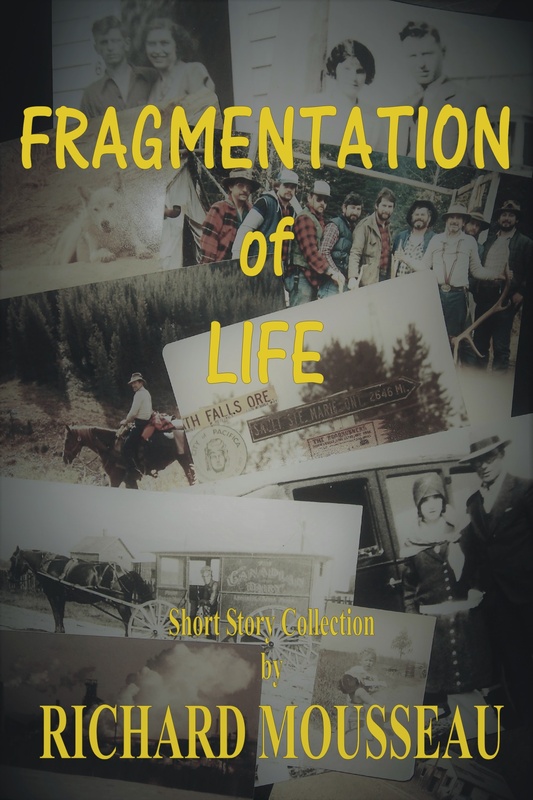 This book is a collection of stories that I have accumulated over the years, presented as fragmentation of life, what was experienced, observed, and created from an imaginative mind. I present adventure, drama, comedy, true stories and fiction. It will be left to the reader to decide which story is true and which is fiction. An enjoyable read, I was never bored. These stories cover the spectrum of life and genre. This is what I like, short stories that have depth, and can be read over and over, and I never tire of selecting a story and reading again. Mystery, adventure, comedy, children stories, crime, drama, inspirational, mystic, and tall tales, the writer covers all. Theses stories are so varied that I am eager to get to the next story. A fulfilling read. A cold sweat accompanied a haunting sensation when Ed’s body sprang up from the bed. Open eyes greeted complete darkness of the room. The subconscious mind in control of sleeping hours fought for possession against a waking consciousness. Ed could not distinguish between reality and fabricated dreams. He was there on Roosevelt Street back in nineteen-forty-eight, fives years before feeling the chill of autumn at his birth in September, in the year of nineteen-fifty-three. 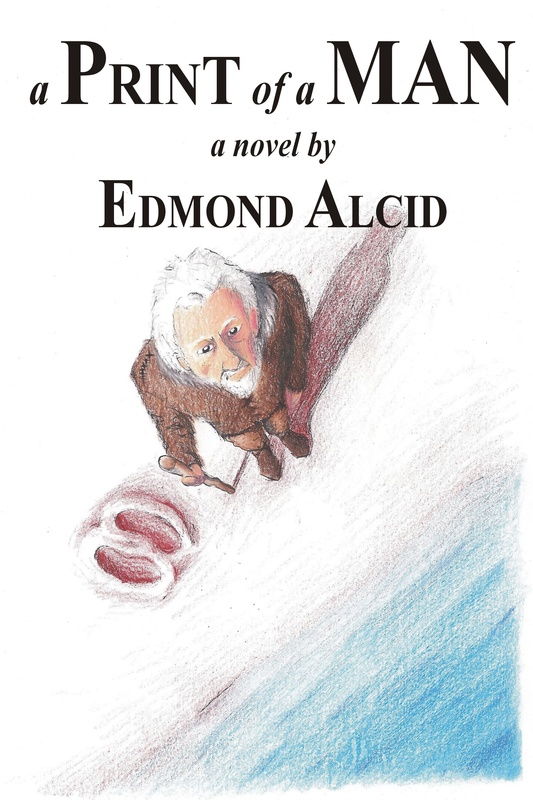 Ed could not understand why he could not shake off the dream, why it haunted the reality of consciousness. Eighteen years had lapsed since Ed had resided on the gravel street. Yet, there was an aurora that encircled the wooded playground; sometimes gleeful, sombre, chilling and when the gloominess of a rainy day prevailed, Ed would pass by on the farthest shoulder to hold at bay the haunting mist rising from the woods. A man has dreams that are so convincing that he believes that events have occurred in reality. He seeks help from a psychiatrist, who in turn involves a detective and a lawyer. Everyone is convinced that the man has committed a murder, though the man states that the murder was committed in a dream, on the day that he was born. It is amazing how frightening a book can be when the premise of the horror is self created in the mind of the character, and now my lingering thoughts are beginning to scare me. Yes, fright can be created in one’s own mind and being locked in a dream where you can not wake is similar to being buried then finding out you are alive. Our own thoughts can be the worst of nightmares. Crap, I am scared to go to bed for fear of having the same dream as the author. The Author retells his memories of growing up on Roosevelt Street from the years 1956 to 1965. In a steel town in Northern Ontario, Canada the Author and the many kids that lived on Roosevelt Street go through their childhood years. Every kid has adventures, fun and excitement when growing up. Follow the kids as they explore their neighbourhood, the wilderness around and them selves. 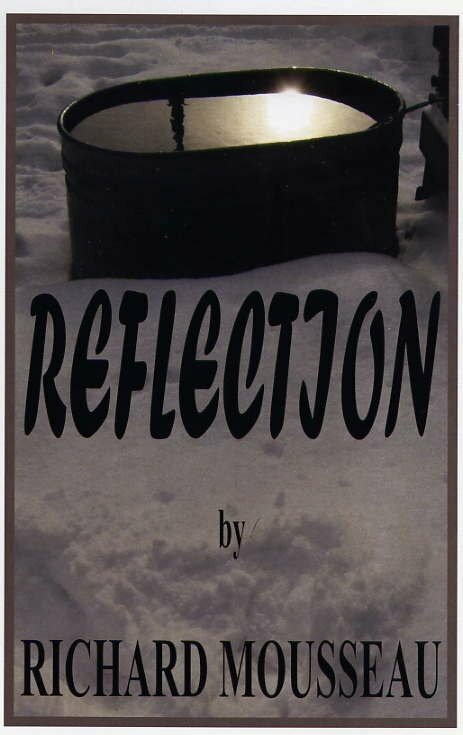 Read what thoughts a kid of the fifties and sixties remembers about events, friends and himself. 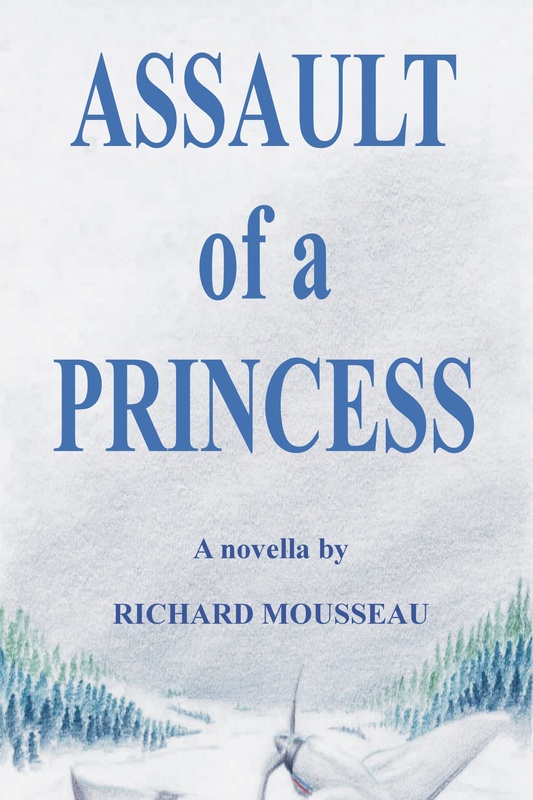 A story for adults who want to linger back to an innocent age to remember being a kid. Kids of today will get a feeling of how their parents grew up. 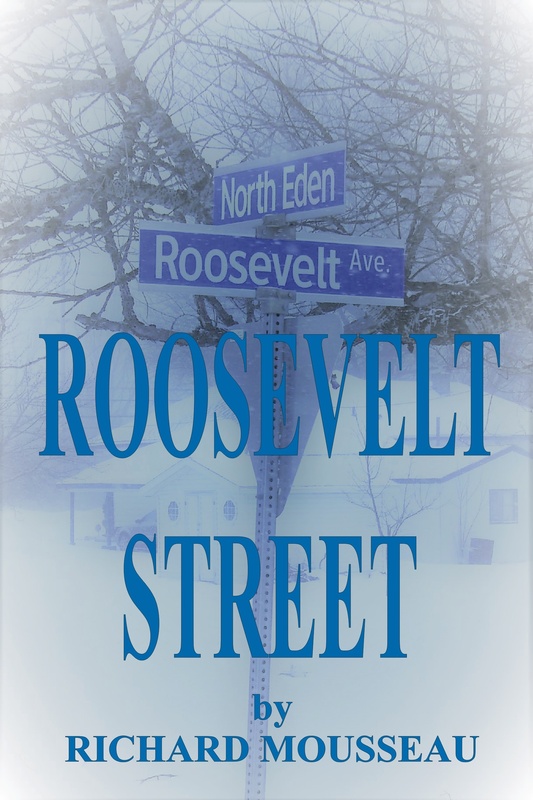 Thinking back now after reading Roosevelt Street, I had a great time growing up. Similar events happened to me. Thanks for rekindling those memories. I had lost touch with my memories of growing up on Roosevelt Street. I cried after reading about myself in those stories. I am sad that I have moved so far away from home. A great simple story. There should be more books of simple innocence. Expectations of what was to be seen reflecting off of the smooth surface of the water trough was not to be. Clear blue-green water, filled to the brim clearly showed an aged face of a man mystified by a personal image. Hints of specific features were reminiscent of Father’s, the family’s inherited nose, dad’s black eyes in furrowed brows and even Mother’s hidden silent humour. Where had the years gone? Brows furrowed and clouding orbs peered through slits of eye lids in an-attempt to view the years displaying events hovering over a green pasture. Bits of recalled memories drift in and out of the mind’s eye, though not in chronicle order. Dates and years as mixed up as the faces of people at various stages of life. Faces were familiar though names were difficult to recall. Dates, years and ages were non-existent. The stories were most prevalent, most vivid with minute details and background facts connected to others and their stories. Farm animals; their personalities and stories also intermingled in time frames of Ed’s life, maybe more affectionate than family and close friends. Animals are funny, serious and emotional. A wonderful reflection of how mankind begins to understand and compare the animal world and the human world. Sometimes the simple life is just as interesting as the great adventures; and farm life can be comical and heart warming when dealing with farm animals. 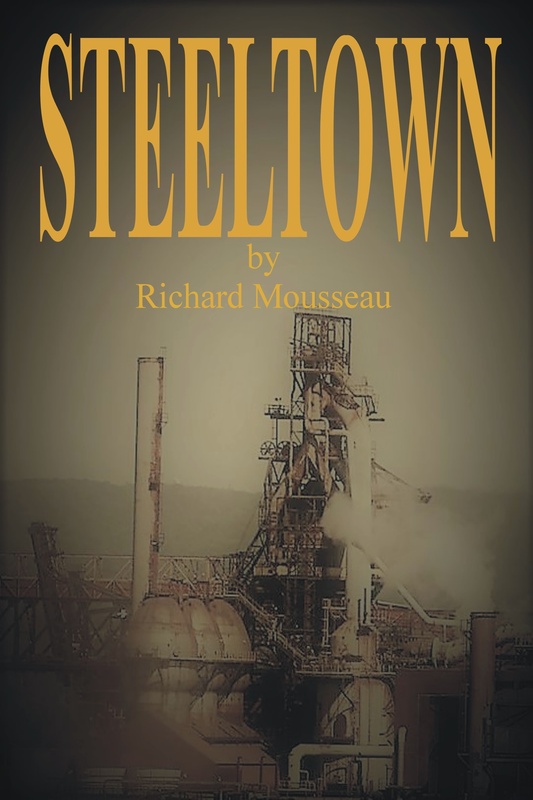 Steeltown captures the tragedies in a steel mill town. Follow the lives of four young friends struggling to overcome the pressures of growing up. Who will survive the perils of innocence? Do accidents become the mysteries of rumours of murder. In a steel town hidden behind the walls of a steel mill, murder is not an accident. Live the lives of four young men as they work their first summer in a steel mill of Steeltown. Times can be good, bad and ugly. You will laugh and cry for the boys. The women of Steeltown are not, innocent bystanders, they are sometimes the cause of man’s turmoil. Steeltown will shock you. A realistic account of young friendship. For two days of reading, this book flowed like a movie. A-one-of-a-kind novel, I was not disappointed, I could not put it down, wanting to read just a little further. After reading of the tragedies that occurred in Steeltown, I was afraid to seek my first summer job in a local steel plant. Only two boys from Steeltown have survived. The past has affected their lives. Living and working in a steel mill town is the cause of past and future events in their lives. Salami is unable to settle down to a married life and is too eager to follow the free spirit of his friend Boo. Leaving town seems to be their only way out, an escape. To escape from what or whom? There are those who wish to even up past scores. They are willing to follow to extremes in order to inflict terror and pain on Salami and Boo. 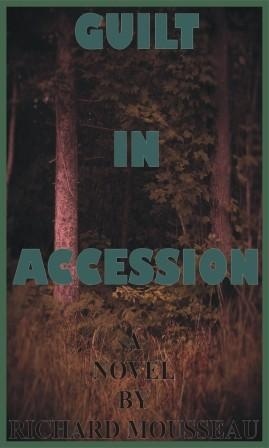 To what end is in store for two friends wishing only to escape the confines of working in a steel mill. 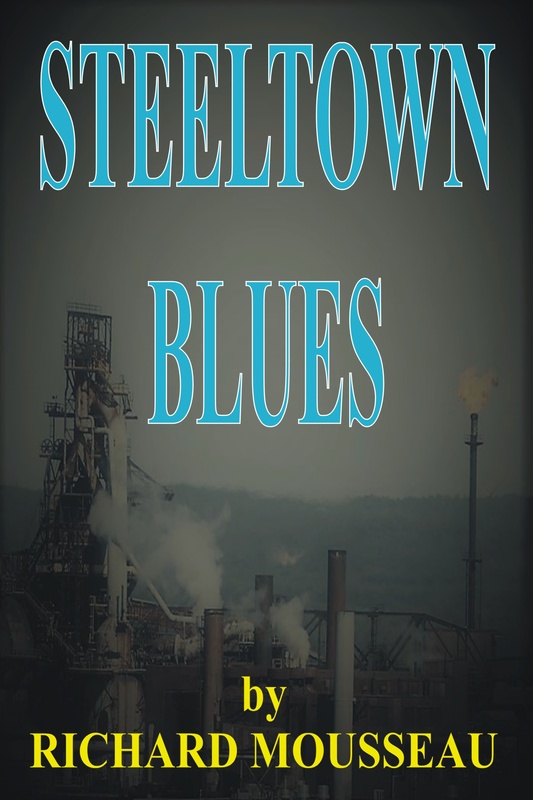 Will they be able to escape those Steeltown Blues? My hopes for the boys were dashed during the reading of the last few pages. I felt hurt and angry when I read about Boo and Salami, boys I enjoyed following page after page. Through the whole book, I felt as if I were travelling and living the excitement and disappointments of life alongside of the boys. Soaring freely on wings of silky canvas fabric, a colourful kite of vivid hues is barely seen against a clear blue sky on an early September day. Higher than any of the other kites, it soars above the open fields, above kids resembling ants rushing about. Twenty assorted kites jostled for air currents and manoeuvrability space. These kites sailing twice the height of the tallest eighty-foot White Pine. Higher above them floated a sky flyer, its fabric skin taunt against a warm updraft and wind. Stressed to the breaking point, the tethered line held fast to the kite’s structural frame. Lazy dog day afternoons are meant for relaxing in the last warmth of southern winds, and the town’s folks of Echo Bay cast inquisitive eyes towards the sky. Hugging the shoreline of Georgian Bay, a body of water connected to Lake Huron of the Great Lakes, there is a clear view of the open farm land leading to the water’s edge. Folks mingled, as those do on a Sunday afternoon, and cast an eye every once-in-a-while towards the dancing kites above Old Man Barns’ empty farm field. This is one of those summers that becomes noted in everyone’s mind, and will be recalled in declining years of age. Air currents billowed the sky flyer’s fabric, tugging, trying to set it free. The wind is free to travel the earth, to visit places, to bring warmth or a blast of cold Arctic air. A gentle breeze will carry a butterfly lazily along an unplanned path. Able to be cruel, a wind will flatten crops and pry buildings from their foundations. Today the wind played fair, yet teased with a firmness. Sewed seams of fabric held fast around arched framing. Mankind designs and builds structures to withstand the elements. In turn, the forces of nature test mankind’s inventions. A bout of strength unfolded this September day of Nineteen-Ten. The sky flyer held fast to the tethered line. Three lines, one attached to each side and one on the head of the kite, joined a centre ring coupled to the line earth bound. 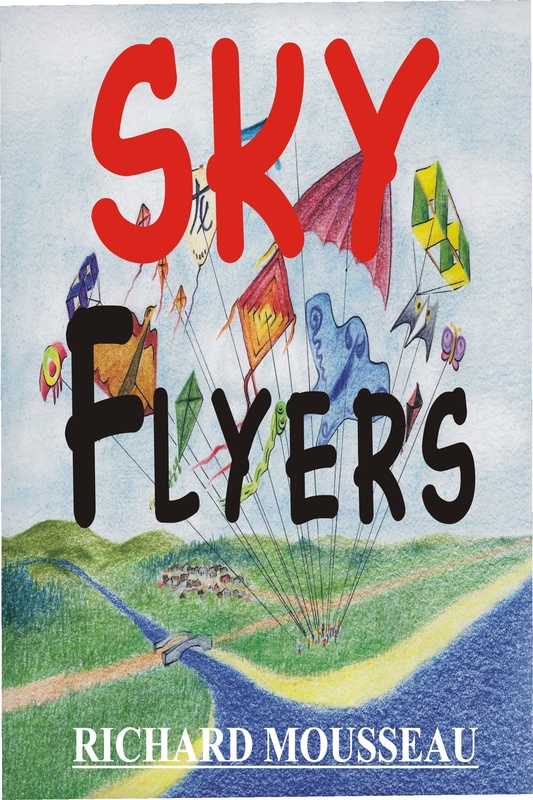 Higher than any of the other kites, the Sky Flyer waved its long tail of spinning fan blades. A rainbow of colours flashed from each decorated blade. Competing kids unreeled line in hopes of matching the sky flyer’s height. One by one the lines ended in a fastened knot around spool reels. Eyes fixated on the height of the sky flyer. Kids cheered, some were disgruntled when being intimidated by the sky flyer’s achievement. Town’s folk paused, shaded their eyes and oohed an awed with delight when seeing the display of playful kites. Some wished that their childhood could have been as adventurous and playful. This September of Nineteen-Ten is a momentous day. Boy, kids had fun back in the olden days, what a realistic fantasy story. I lived childhood days with no store-bought toys, no money, no modern electronic gadgets and us kids had fun. Modern kids are missing out on life. Thanks for letting me relive my childhood days. I looked out of the window expecting to see kids and kites flying. At sixty, I want to go fly a kite! 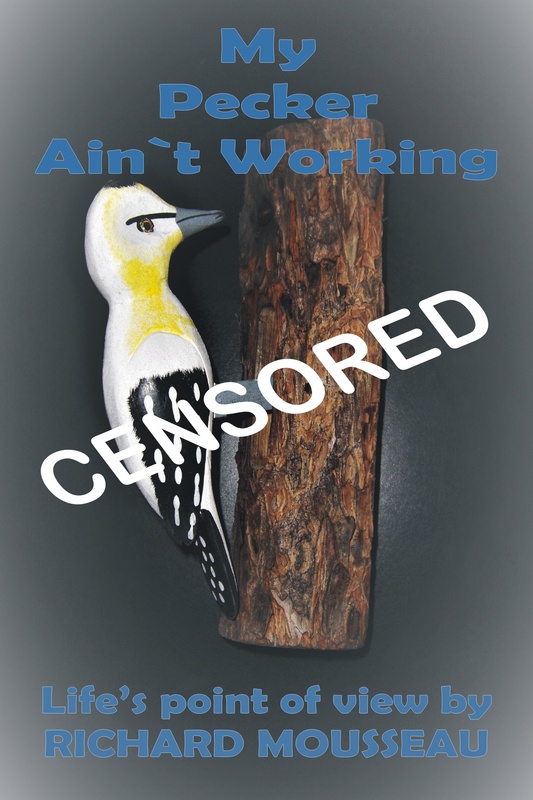 A must read for any man concerned about Prostate Cancer. This transcript is a patient’s view of medical practices between a patient, doctor, hospital, surgery and recovery. I relate my personal experience of dealing with prostate cancer; the options, recovery and an over-all point of view that should be shared with all men. Man’s experience should be understood by women who support their man. Unlike what is seen on television, and the fantasy of make-believe, this transcript tells it with truth, and what one should expect, for life is changed by surgery and disease. A must read. 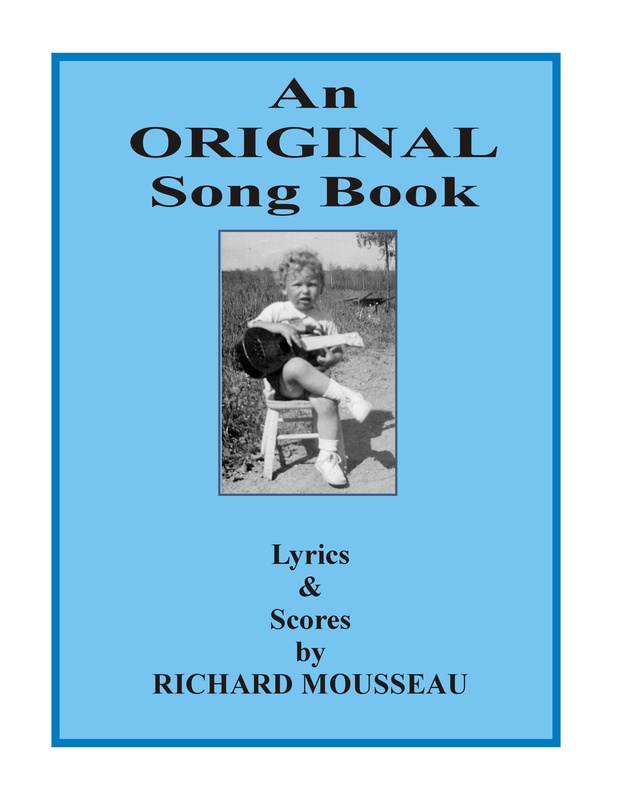 Original music and songs lyrics in various genre are presented in this song book; ideal for enthusiastic amateur singers and musicians looking for material to add to their performance list. Be the first to perform and release these original compositions to the public. Amateur and professionals that are keen to discover original material to assist them on their climb up the entertainment ladder will have a variety of themes and styles to select from. Adapt the songs to your personal style. 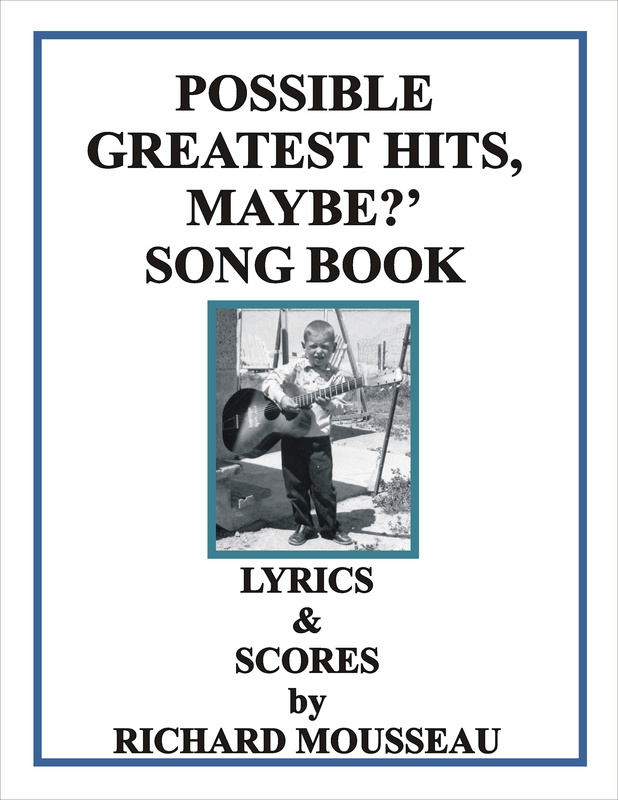 There is a web link within the book for free downloads of demo recordings of songs to give an intended interpretation. 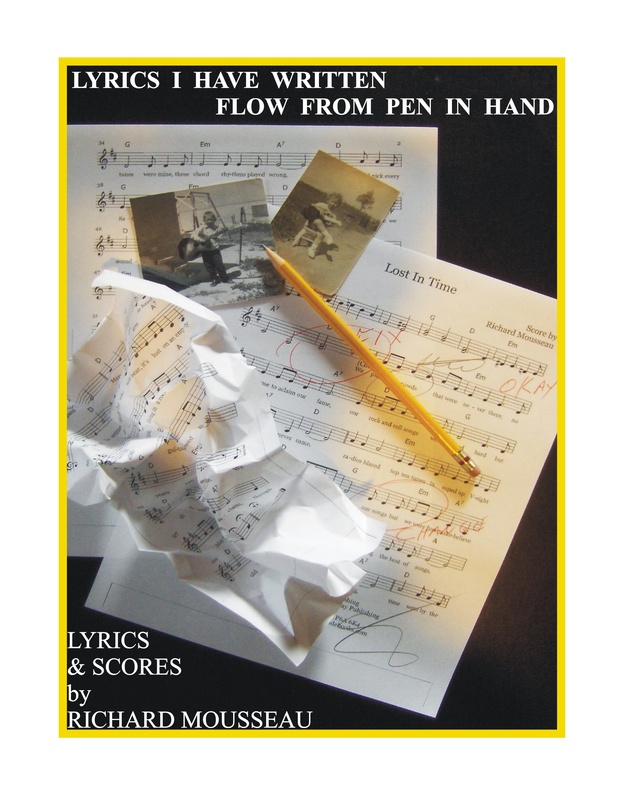 Contact the composer and this publisher with your performance requests for performance permission. Enjoy these original lyrics and scores. Novel 128 pg., Science Fiction, Adventure, All ages. The twenty-first century of modern earth no longer exists after global heat scoured the earth and an ice age cultivated what remained. Space evacuees consider earth to be just another useless planet, and having no means of returning, remained exiles. Floating ocean habitats became the arcs for preservation of the human species. Earths magnetic pole shifted and multiplied to eight random locations. Satellites, computers, electronics and the conveniences once considered a necessity no longer exist. Was hate, war, crime, greed and the faults of mankind eliminated by earth’s destruction or laying dormant in the minds of ocean and space survivors? Thousands of years has lapsed, and the earth is in rejuvenation as the ice age retreats to the poles. Descendants of the original ocean inhabitants living on floating habitats emerge to reclaim existence on the land. Though maintaining mental advancement, settlers live a pre-industrial and pre-electronic life style. New world inhabitants venture forth to settled, though unable to populate. Evidence of prehistoric twenty-first century existence of mankind lays buried in the tilled landscape of receding glaciers. 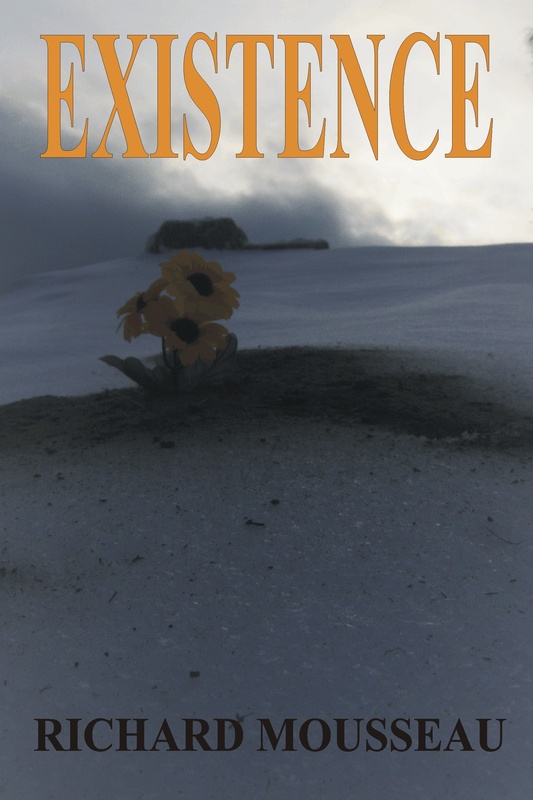 A new existence of mankind upon the earth may have a new beginning. I enjoyed the realistic depiction of what life would be after the destruction of the world. World rebirth and existence is a chilling description that worries the mind and at the same time brings hope that mankind can rebuild and attempt to not repeat mistakes. A different perspective and this story is an enjoyable read. Story leaves room for open interpretation and discussion. Theatre Play collection, DFrama, Comedy / All ages. An old-time radio show featuring skits, cowboy poetry and songs. Suitable for radio presentation or on-stage radio presentation. A Theatre play. On a blustery Canadian night in 1886, a gathering of men and women create the rules of the game of ice hockey. A screen play, or theatre play. A man who is suspicious of dying embarks on leaving a multitude of offspring with accommodating women. Screen play, or theatre play. An out of work writer mingles with stranded people one winter and discovers the true meaning of Christmas. A screen play, or theatre play. A man suffering amnesia becomes the butler, nanny and love interest of a single mother. Down to earth, everyday people and events displayed with drama and humour. Great variety of subject matter. 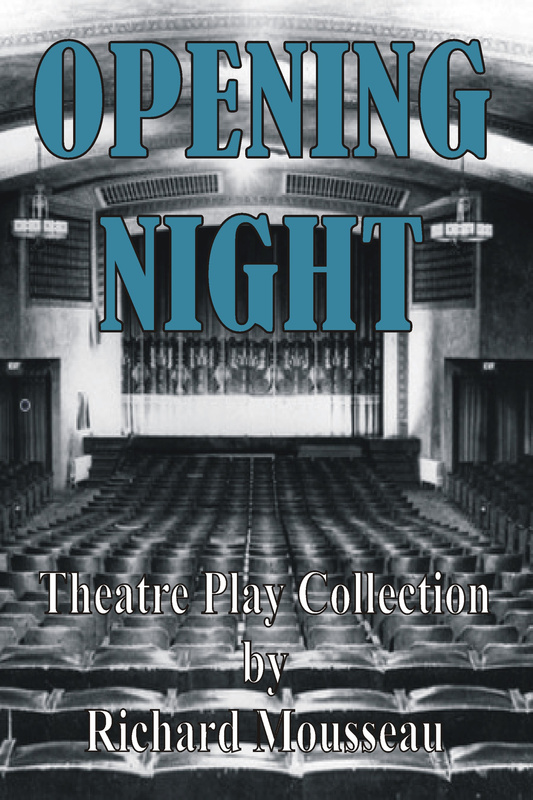 Theatre Play collection, Drama, Comedy / All ages. Theatre play. A group of misinformed cruise ship passengers rush to secure seats on a large rubber raft occupied by the ship’s captain and first mate; who were intent on a fishing trip. A theatre play, or suitable for a radio play. Cowboys and cowgirls resting beside an evening fire recite cowboy poetry. Music and banter link the segments of poetry and song. Theatre play. Two elderly sisters share a senior’s residence and reminisce about their dramatic and comical life concerning a love of their life. The Beau is present in spirit and adds intertwined dialogue. Theatre play. Actors become the audience on stage intent on viewing a theatre play. A varied group plays out their opinions of life with dramatics and comedy, often reflecting the nature of the audience. Three short plays. The Crabtrees on Butternut Corners: A Married couple display their bickering life together. Two Poets in Bellevue Park: A man and women, each love-forlorn, recite poetry to the audience. Their dialogue is silent between the couple. Wojo and Youngin: A talking dog gives life advice to his young master, while reflecting on his own dog-romance.